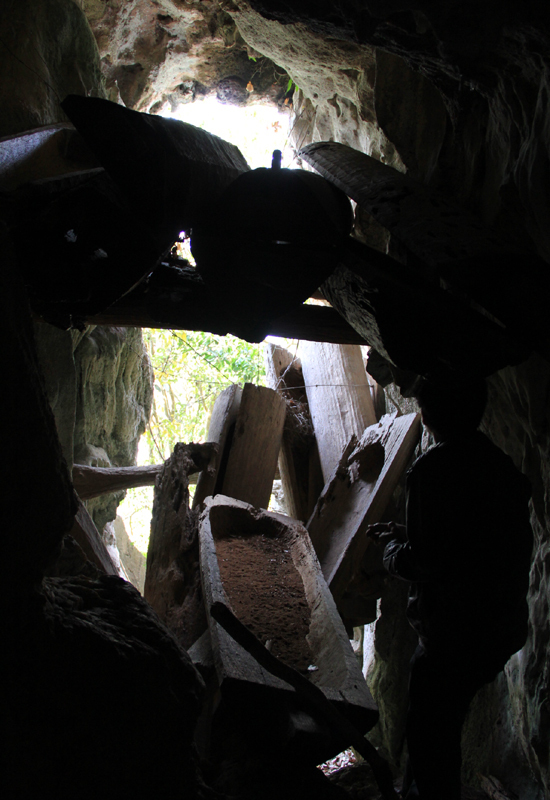 VietNamNet Bridge – On the Peak of Pha Quen Mountain in Thanh Hoa province, local people have discovered a cave with ancient coffins inside. 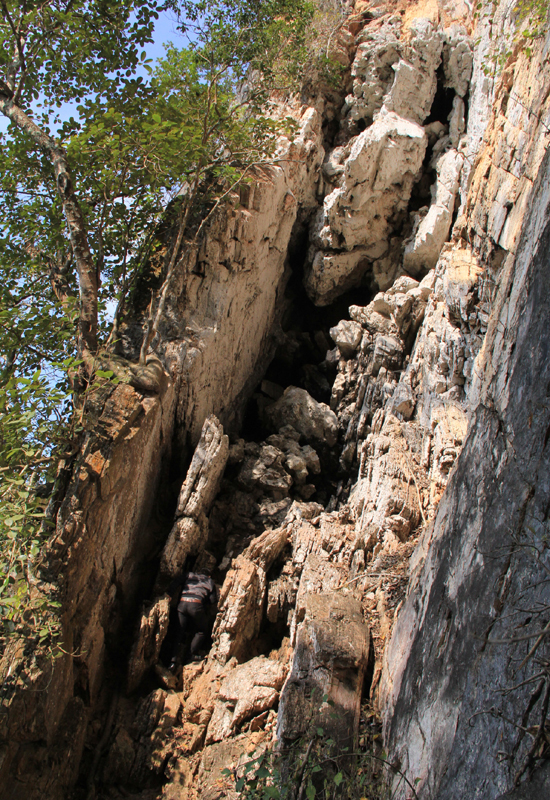 They call it Hang Ma (Cave of Ghost). 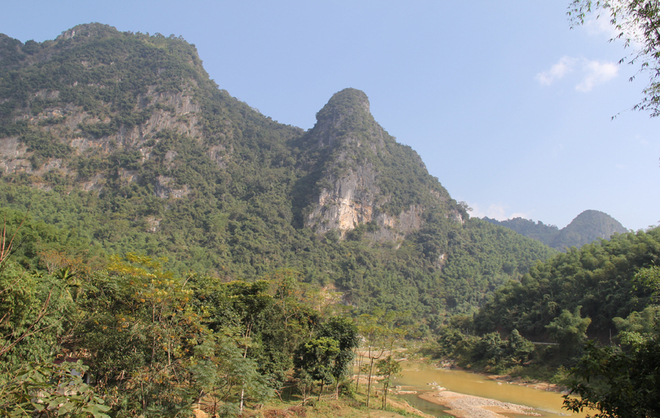 The Cave of Ghost is located in Bon village, Trung Thuong commune, Quan Son border district. 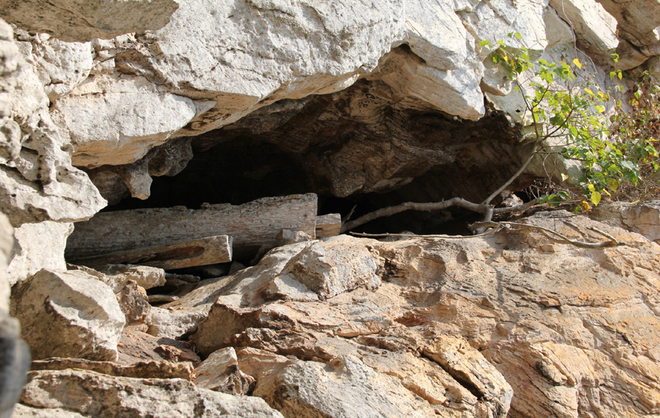 At an altitude of nearly one thousand meters above sea level, the cave has many ancient coffins. The cave has been discovered recently. 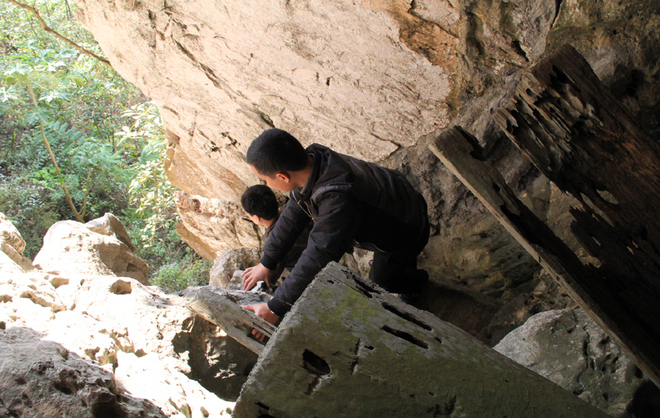 To reach the cave, people have to climb along trails for kilometers and finally swing themselves above the steep cliffs… This is a really tough challenge for the climbers who want to explore the Cave of Ghost. The cave mouth is enough for one person to slip through. 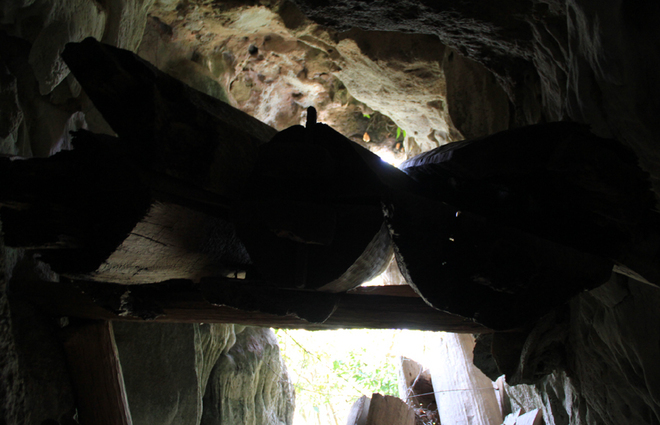 Inside the cave there are dozens of coffins of various sizes. 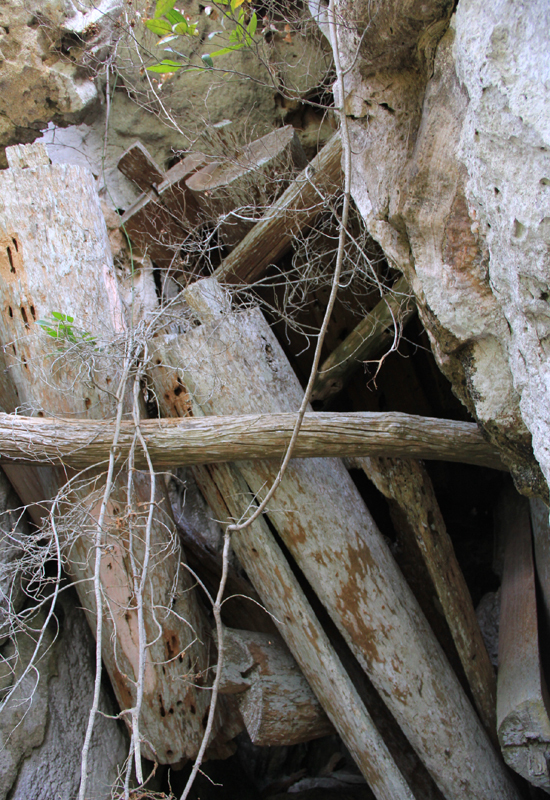 They are piled up and most of them are rotten. Only several coffins are intact. Due to the impact of time, most of the coffins haveno covers. 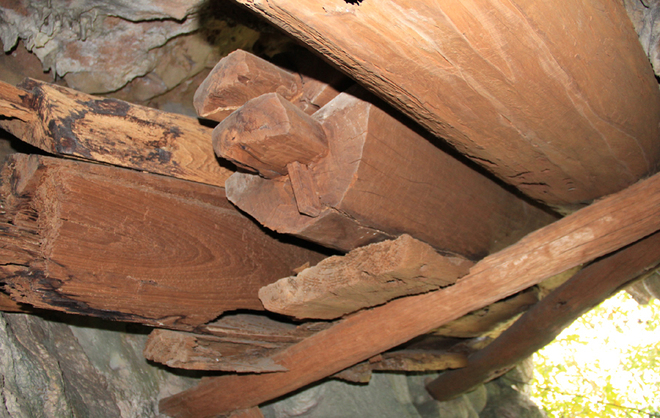 There are at least two caves with ancient coffins on Pha Quen Mount. Each cave has 30-40 coffins. Nobody knows who owned the coffins or where they came from. 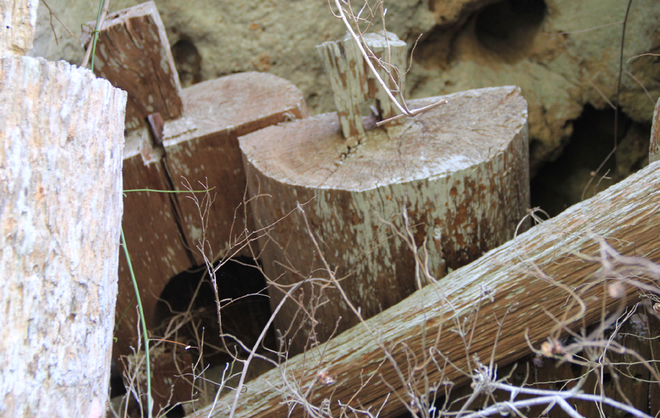 Historical documents did not mention these coffins. 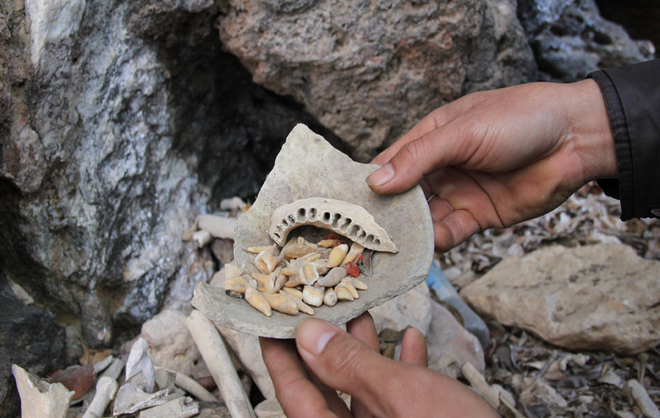 There are a lot of human teeth and bones on the cave floors. 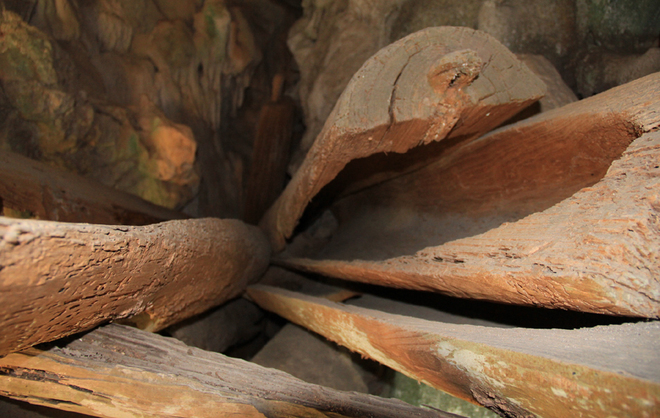 Experts said these are coffins of the ancient Thai people. 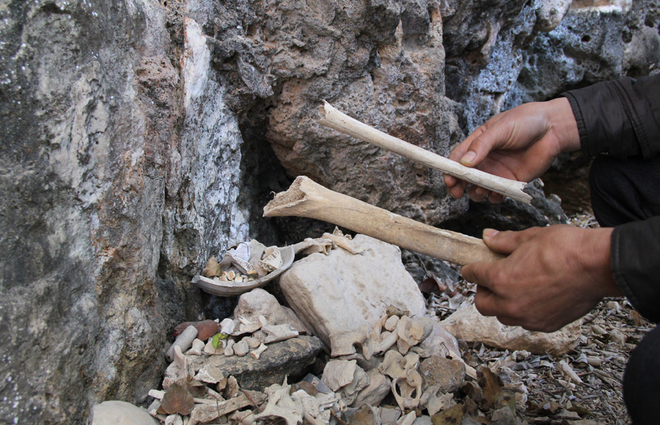 Local authorities have asked relevant bodies to conduct research in the cave and the coffins here.